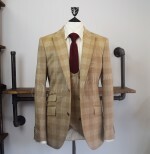 3 Piece Tweed Suits. 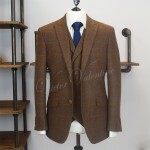 British Tweed with a modern cut. 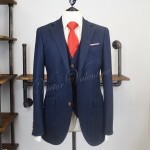 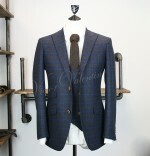 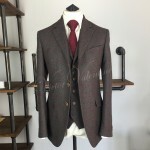 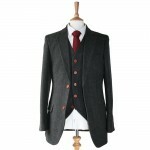 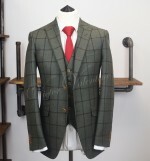 A fabulous collection of vintage style tweed 3 piece suits. 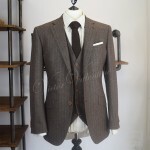 The perfect look for your rustic style wedding. 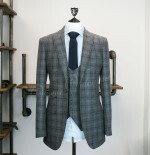 We use only the finest cloth and finish our tweed suits to the highest standard. 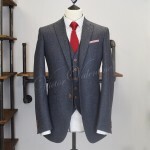 We have updated this classic look and given it a more modern style and finish. 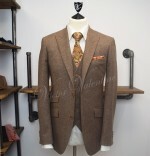 It is such a versatile look and can be worn as a 3 piece or 2 piece. 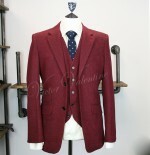 The jacket can also work perfectly with a pair of jeans or chinos for a more casual look.